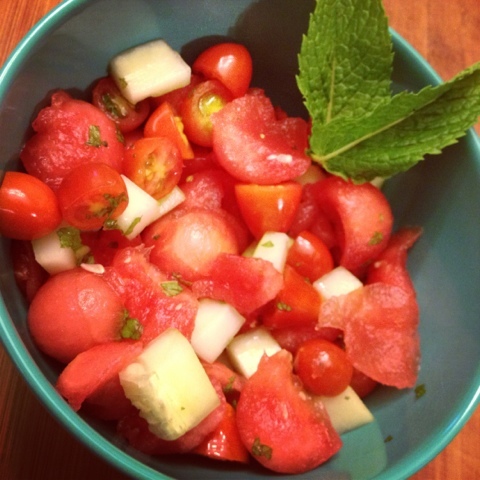 Watermelon is by far our favorite fruit to enjoy in the summer. It simply embodies the word refreshing. 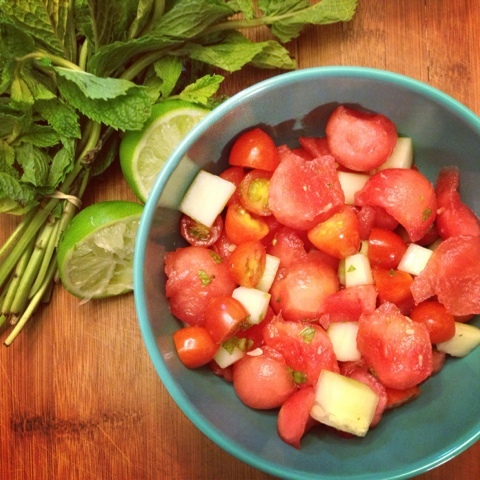 We put a twist on the typical fruit salad and came up with an absolutely delicious Watermelon Summer Salad. This is definitely are new favorite salad and is made from only 5 ingredients... can you say easy?? This looks amazing! Perfect for a summer get together! This looks and sounds amazing. I can't wait to go pick up a watermelon! Thanks ladies! Was super yummy :) Hope you enjoy! Pinned! I'm growing mint this summer so this recipe will be perfect. need to try this! it looks so refreshing and great for a summer bbq! A classic combination! :) Sounds yummy! Thank you so much for linking up with me this week at Tasty Tuesdays! I’ve pinned this & shared it with my followers! Download WhatsApp 2019 is the leading cross-platform mobile messaging app for iPhone, BlackBerry, Android, Windows Phone together with furthermore Nokia. Download WhatsApp 209 New Version of the app will definitely be exceptional for some people, as it say goodbye to needs to inhabit any type of sort of space in your net web browser. The new app normally operates as a development of your phone; it mirrors messages in addition to conversations from your device. Download WhatsApp 2019 APK allows you to make free calls, chat, send pictures, and much more. Switch from SMS to WhatsApp to send and receive messages, pictures, voice notes, and others.